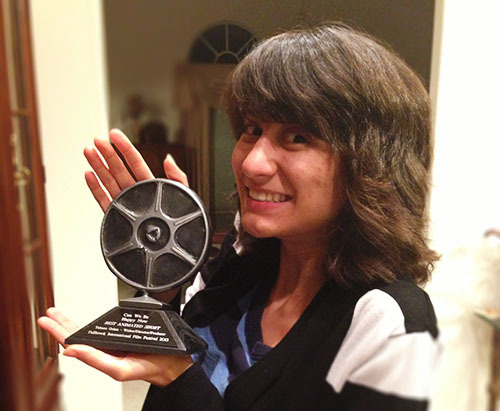 Best Student Animated Award at SDFF!! My friends! Life has been incredibly busy lately! If you’re in Portland, Oregon, you should go to the Region One screening for the Student Academy Awards. 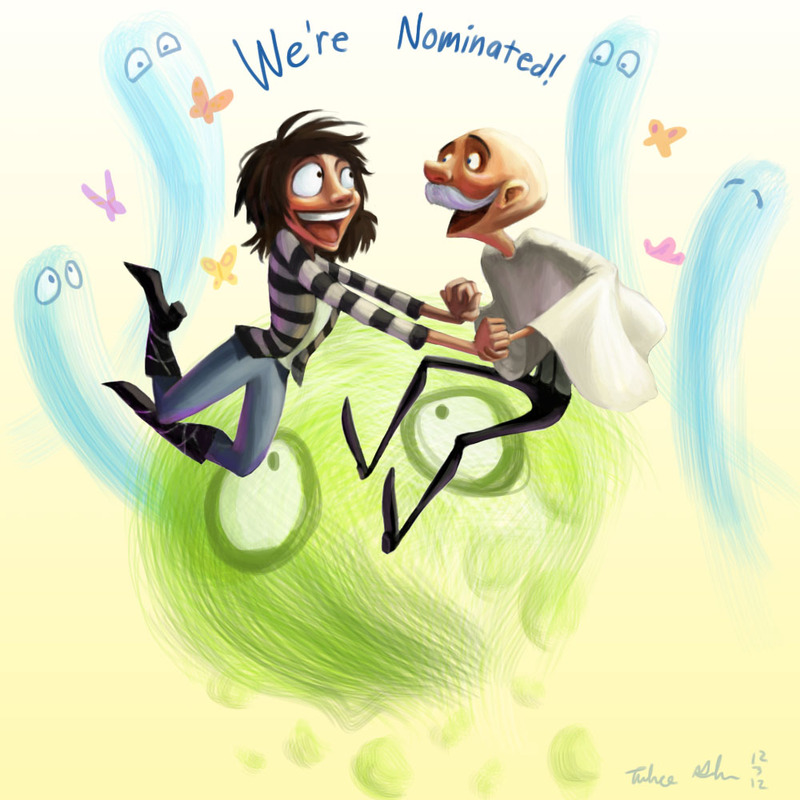 Yours truly has been nominated as a Finalist for ‘Can We Be Happy Now’! *EXPLODES* This will be a free public screening on Wednesday, April 24, beginning at 6 PM at the Northwest Film Center’s Whitsell Auditorium (inside the Portland Art Museum at 1219 SW Park Avenue, Portland, OR). ‘Can We Be Happy Now‘ adventures on, winning a Best Animated Short prize from my hometown, Fallbrook, and a trip to North Carolina to present with a kajillion wonderful student filmmakers. 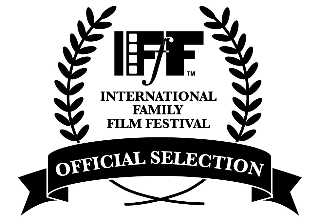 Another rapidly-approaching screening is at the International Family Film Festival on the 5th, if you’re in Hollywood! (I’m sorry to say that I won’t be there). And if you’re in Toronto, you can see it in late July! It’s quite an honor to win a prize for animation from my hometown! A big shock was receiving a copy of the local paper, the Village News, to find my face on the front page! This really delightful article was written up about my film and musing on the local wildlife for inspiration. Also, my late-highschool-early-college mentor, Dr. Lori Miller, wrote a lovely article about our relationship and how mentorship can truly direct an individual to reaching their goals. I’m really thankful for all the guidance I had on my journey from surviving highschool to conquering college and living a life of blissful animation! 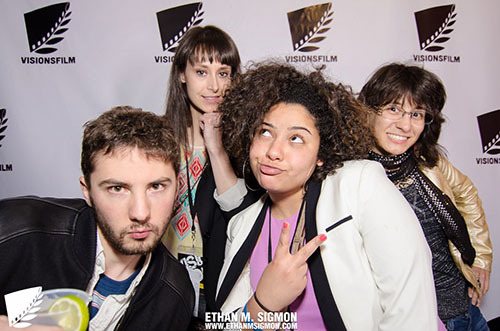 The amazing folks at the University of North Carolina, Wilmington, hosted the fantastic film festival and conference, Visions, where I was super fortunate to be among many wonderful filmmakers whose films were selected from their undergrad. 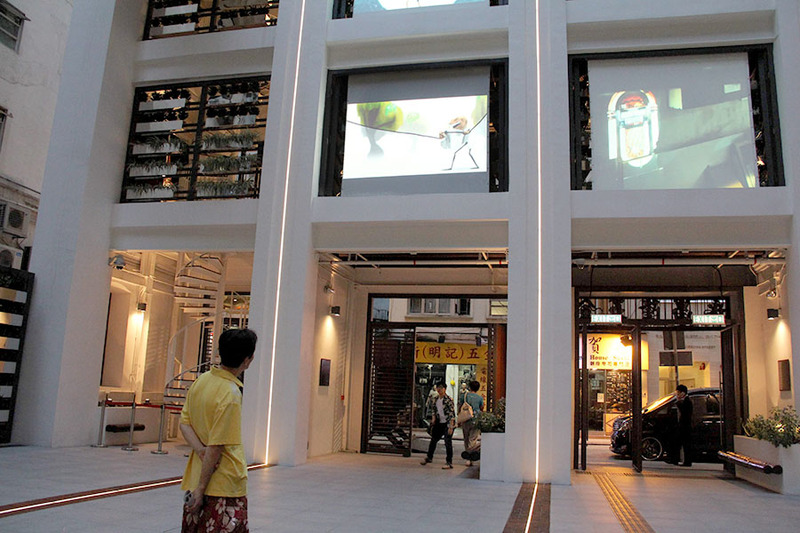 We reveled in a cornucopia of filmmaking, from animation to documentaries and bizarre sci-fi eyecandy and deep drama. So many wonderful friends were made here, including the talented Bridget, who was my roomie — who was roomies with my roomie’s roomie. DID YOU GET THAT?! The universe imploded and then spat itself out again; only her amazing diagram can explain the magnitude of this crazy coincidence. Go look at the rest of her blog, while you’re at it! Here’s us (Bridget’s in the middle), along with Brianna, who was our super-enthusiastic crazy fun driver/guide/new friend! Can I just say that filmmakers are some of my very favorite breeds of people?! SO MUCH TALENT IN THESE PICTURES. The next screening will take place at the Pickford Theater of Raleigh Studios in Hollywood, CA for the International Family Film Festival. The screening is at 2:30 on the 5th of May, and tickets are available here for $10. Unfortunately I will not be able to attend. TAAFI will take place at the TIFF Bell Lightbox in Toronto, from July 26-28th. Hello, Canada! ‘Can We Be Happy Now’ is going to some screenings, and I’ll be going with it! 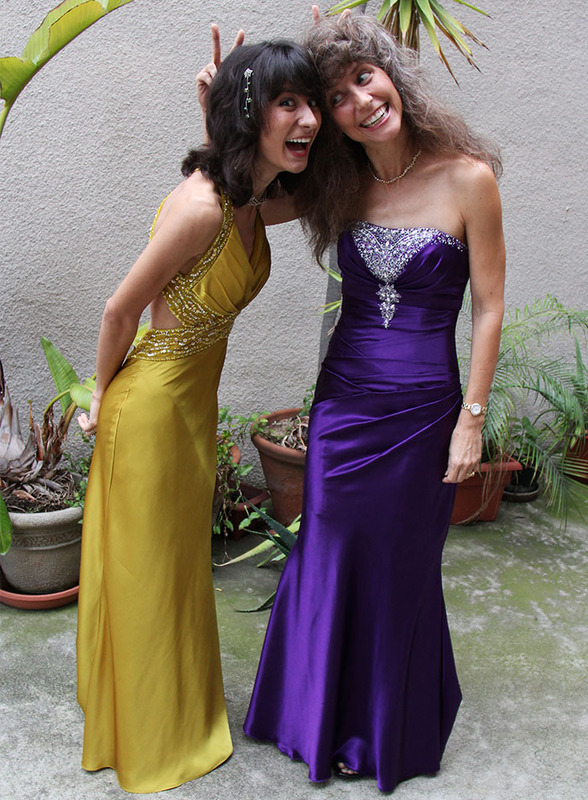 First off, enjoy a photo of my mom and myself all dressed up for the Annies! The Annies were an ABSOLUTE BLAST (as you can tell in the photo!) 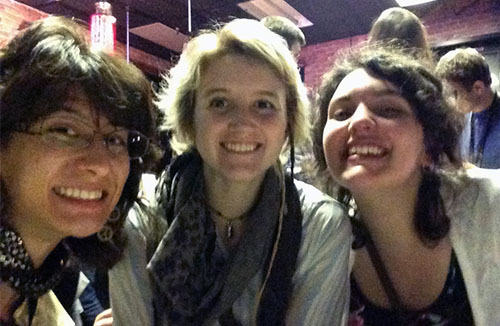 I got to meet other student filmmakers and spun Oscar Grillo’s Annie. The show was plenty entertaining and it was such an honor to attend! I even stood in line next to Brenda Chapman on the red carpet. I’ll definitely be getting a ticket to go to next year’s show! 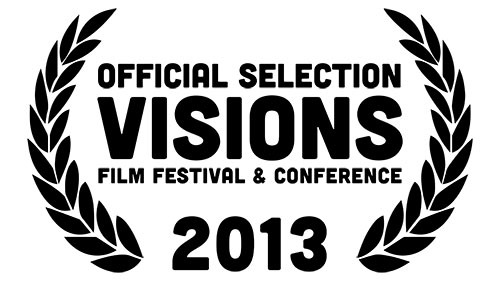 The Visions Film Festival & Conference of Wilmington, North Carolina will be on the 5th. I’m honored that I’ll be able to attend and do Q&A, along with participating in their 1-hour-1-take video race! The folks there are enthusiastic and it sounds like it’s a big film party every year. 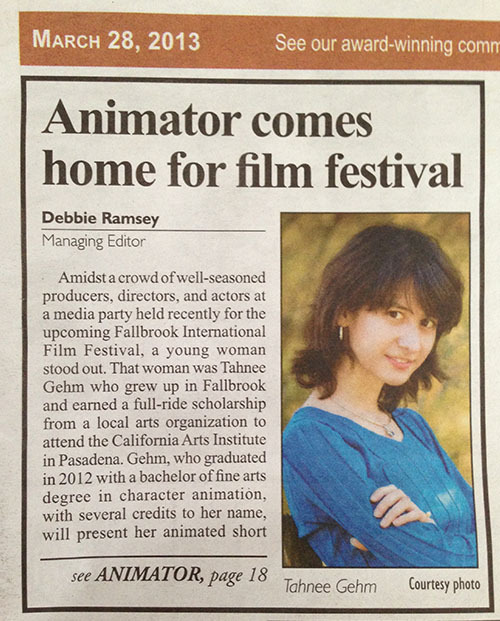 The Fallbrook International Film Festival (I’m a local!) 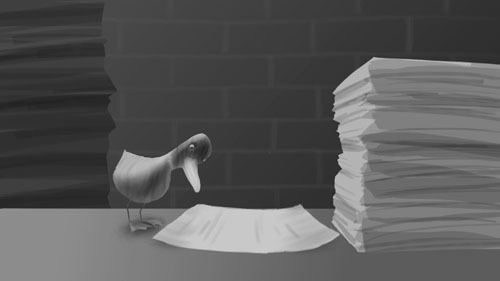 has nominated CWBHN for best animated short. 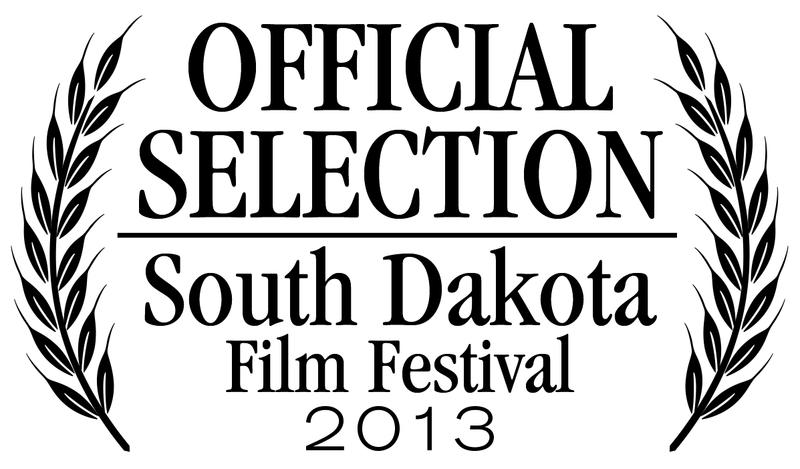 It will be screening on the 6th and the 8th; I’ll be in attendance on the 8th! And, if you’re a member of ASIFA, it will also screen for the general membership meeting on the 7th at USC. I’m really excited to be a part of a panel for that, too! If you have (or happen to be) a child in Texas, CWBHN was also just accepted to the Modern Summer Kid’s Flicks Series. Looking forward to the adventures this film is taking me on! ‘Can We Be Happy Now’ is up for a Student Annie! 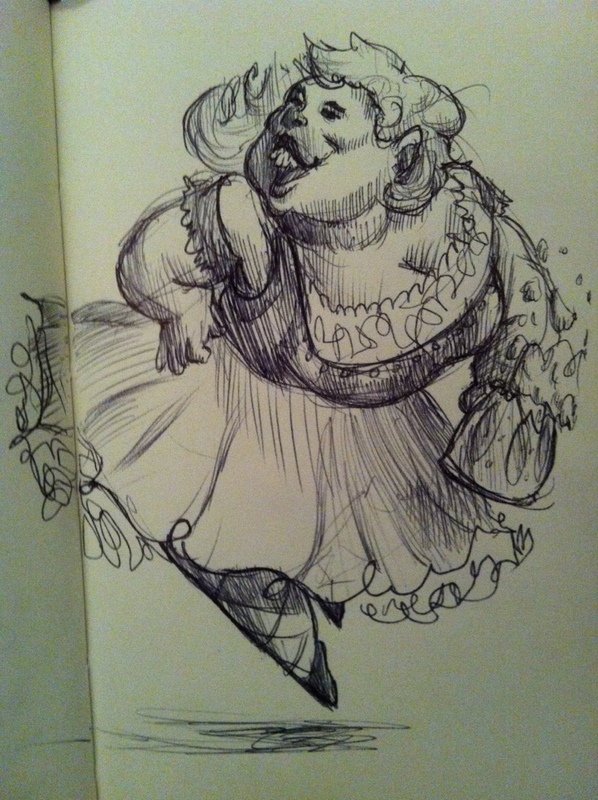 Drawn while Can We Be Happy Now was in early development! ‘Can We Be Happy Now‘ screened for two audiences today! The viewers were primarily children. It was very interesting seeing (and hearing) their reactions and interpretations. It was such an honor to answer questions and see that it’s meaning carried over to non-English speakers. Speaking of which, Germans have got everything figured out; Berlin is amazingly efficient. 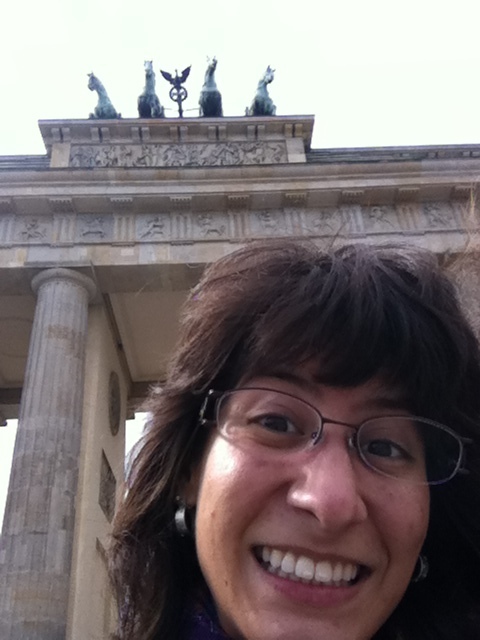 Sight-seeing continued with the Brandenburg Gate, a blocky memorial, some Wall remainders and a random art gallery. Oh yes, and all sorts of interesting people on the Underground trains!! Plenty of pictures are being taken (and scarves make nice jackets for rain, I discovered late tonight). Also, Caran d’Ache makes the most amazing ballpoint pens! Hallo!! I’m really excited because in five days, I’m going to Berlin for the REC-Jugendmedienfestival, where ‘Can We Be Happy Now‘ will be playing on Friday! 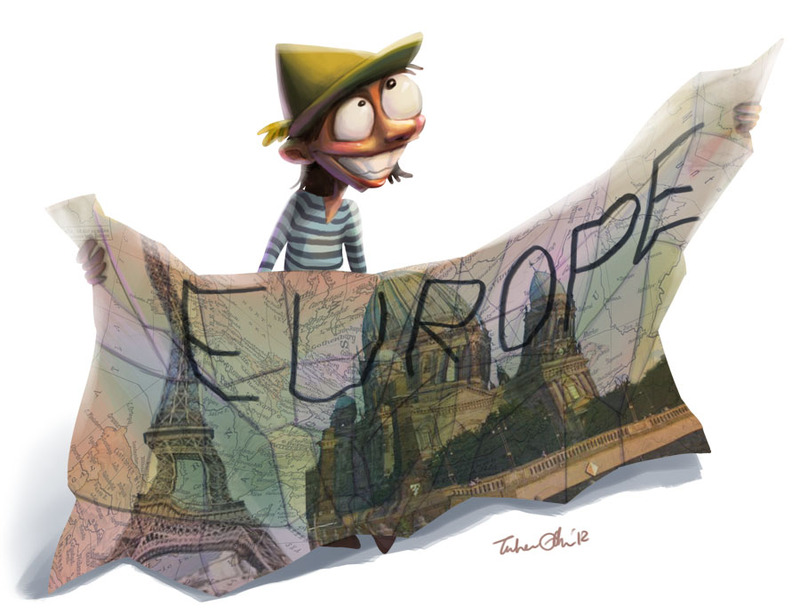 I’ll be there until the 16th, when I’ll fly over to Paris until the 22nd!!! Excitement. Yes. Much! First time ever in Europe! First time ever trying to cram so much foreign language into my noggin! First time ‘Can We Be Happy Now’ screens internationally! First time I may run into gypsies… let’s hope not. MAYBE I’LL COME BACK WITH ONE OF THOSE GREEN HATS WITH A FEATHER! I’ll be equipped with my iPhone and Moleskine sketchbook, so I’ll post updates when I can! Wheeeee! Can We Be Happy Now from Tahnee Gehm on Vimeo. A man in a grey, drab world is awakened to the beauty and happiness of the real world around him, as the spirits of nature take him on an adventure. This is my final film at CalArts, animated in TVPaint!